The URL rewriting tool helps to check the URL's whether it is a static or dynamic URL. This tool converts dynamic into a static URL with a single click. The purpose of URL rewriting tool is to improve user ability and search engine friendliness of your site url. A Uniform Resource Locator, popularly known as an URL is the web address of a website or a web page. You can use this to locate a web source on a computer network and retrieve the same. A URL also finds its application in an email, file transfer, database access, and so on. You can find the URL of a web page in the address bar of a web browser. A typical URL looks like http://www.example.com/index.html. This indicates the protocol, hostname, and file name. Many companies spend endless hours and money on creating the best domain name for their clients. They try to find a domain name that is easy to relevant, appropriate, and also sounds professional. They also try to keep it unique, easy to remember and spell, appeals on a business card, and is also available as a dot-com. However, they neglect the other elements of the URL and forget that it should also be professional, appropriate, relevant, and also easy to memorize, spell and read. If it is not, all the efforts can go waste. Also known as URL manipulation, URL rewriting means is the process of modifying the URL's parameters. You can rewrite an URL using a URL rewriting tool. While web server administrators use the tool to conveniently and genuinely modify the URL, hackers can use it for malicious purposes. Why should you use a URL rewriting tool? You can use this to convert a complicated URL into simpler on so as to make it user-friendly. For instance, you can access a website with a complicated URL by entering the converted simpler URL into the address bar. The new URL redirects you to the same website. This way, you don't have to memorize the complicated URL and manually enter it. It also eliminates the tedious process of carefully cutting and pasting a long character string. However, some users can also use this tool for wrong purposes. For instance, a hacker can use the tool to modify the URL of your website without your knowledge to redirect other users' requests from a legitimate website like yours to an illegitimate website. This way, the hacker or the server administrator or the owner of the illegitimate website can install rogue code on your hard drive. 1. A static URL is easy to remember and bookmark. 2. A static URL helps in optimizing your website for the purpose of search engine ranking. 3. A static URL is SEO-friendly and thus impacts your website traffic. 4. A static URL is indexed at a faster rate compared to dynamic ones. 5. With a static URL, your web page loads faster and thus have a manageable interface. Why do search engines do not like dynamic URL's? Dynamic URL's keep changing when an action is triggered. So the URL's should be converted into SEO friendly URL for better ranking. Static URL's are the trend to index and rank faster in search results, Dynamic URL's are difficult to understand by the user and search engine about the page. So in this case, it should be converted into static URL's for better understanding. The tool rewrites your dynamic URL's into respectable static or SEO friendly URL's. If a particular script executes a particular query, default it shows dynamic URL. Enter your dynamic URL in the box and click submit button. The tool converts by taking a dynamic URL and convert into static URL for better understanding. So in this way, proper permalinks and ranking in top search engines like Google, Yahoo, Bing, and AOL are very important in terms of SEO perspective. This tool is simple to understand, easy to use, and totally efficient. It generates static URLs quickly, in just a single click. Copy the dynamic URL and paste it into the given box. Submit it and receive a shorter static URL in a blink of an eye. 1. You put in a lot of efforts, time, and money when creating a website. You also take every care to optimize it for the search engine ranking purposes. Every small detail including the type of URLs is crucial for a website as it has a direct bearing on a website's traffic and page rankings. 2. As an owner of a website or a webmaster, a URL rewriting tool can help you in promoting your site and thus reaching out to a wide audience worldwide. 3. As an owner of an e-commerce website, an increased number of people can find your web pages on search engine results with a clean and short URL. This adds to your traffic and conversions. So, if you think by creating a successful website your job is done, you are incorrect. Having a static URL that is user-friendly and SEO friendly is a must. 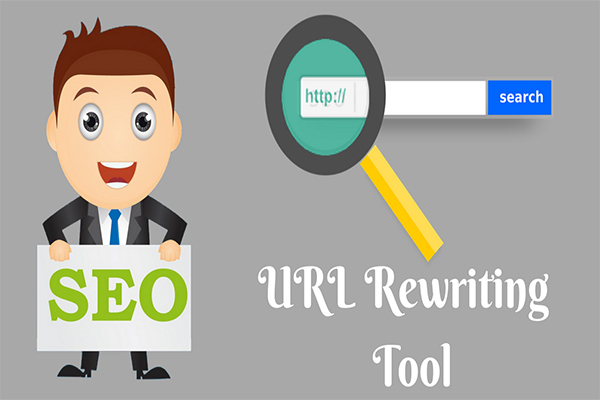 Thus, if you're still using dynamic URLs that are complicated and difficult for users to remember, now is the right time to modify your dynamic URL by using the URL rewriting tool. This is just one small step that you can take to optimize your website, its search engine ranking, and also drive crazy traffic. This becomes all the more important if you are an e-commerce website owner who earns through your website and has invested huge capital in your online business. So, use the URL rewriting today and fast track your digital marketing strategies! It helps to convert dynamic into static URL's with one click of a button. Improves organic search engine results and helps to eliminate n number of duplicate pages indexing in the search engine. Improves security of the site structure with clean permalinks. Later all the dynamic URL's can be easily redirected to the original page. Protects the application from malicious hacker from understanding the URL structure. This tool is totally free. You don't have to spend money on paying anyone to modify your URL. You can do it on your own. It is available online so you don't have to download any software on your system and thus save the memory space. You can use it from anywhere, anytime, and any number of time. You can use this tool to convert your long dynamic URL into a shorter and a static URL that appeals to your users.